Backpacks are like clothes – even if they fit you, they can’t be perfectly compatible with your body shape. The goal is, after a long hike, that your burden feels as light as possible. You have to agree with us that finding a backpack, which meets your needs is the key to a pleasant hiking trip. 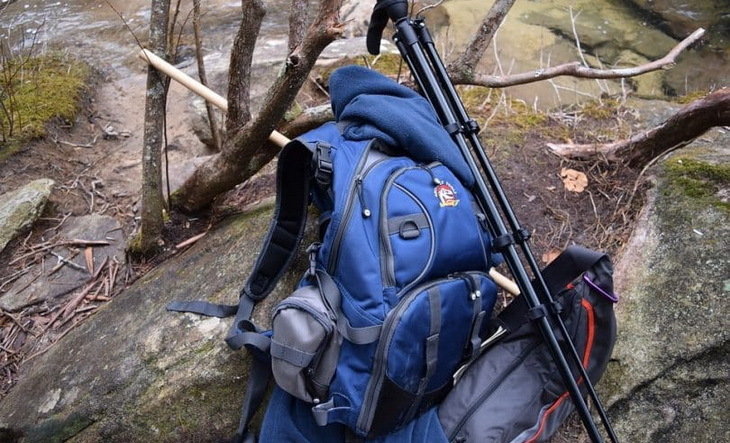 A backpack is as important as any other part of the gear. It shouldn’t only be able to “fit all in”, but instead it should feel as comfortable as possible. If you learn some tricks for buying backpacks, you would be able to choose the best waterproof hiking backpack, which would satisfy your design and functionality needs. 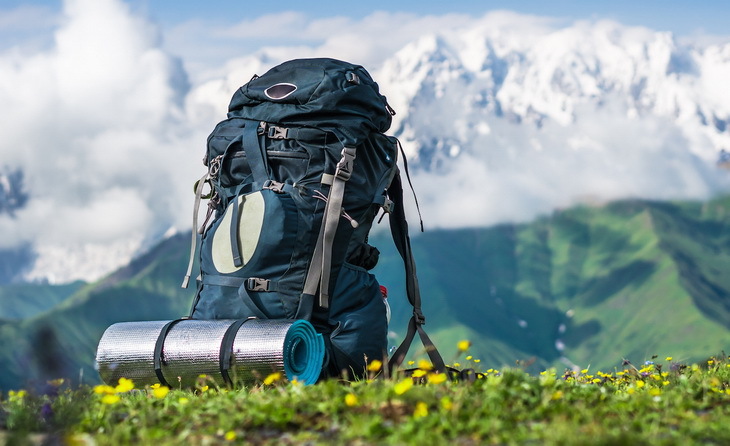 In this article we came up with some of the best and most useful backpacks in the market, as well as giving you a list of the key features to look for. We hope that by the end of your read, you will be able to make a better choice. Before buying any backpack, there are a number of features, five to be precise, that you should look into. This way you’ll know if you’re making the right choice based on what you are buying it for. The capacity of the backpack that you would choose depends from the length of your hiking trip. But it also depends on the length and weight, which you plan on putting in. And of course, the personal wants and needs come first. 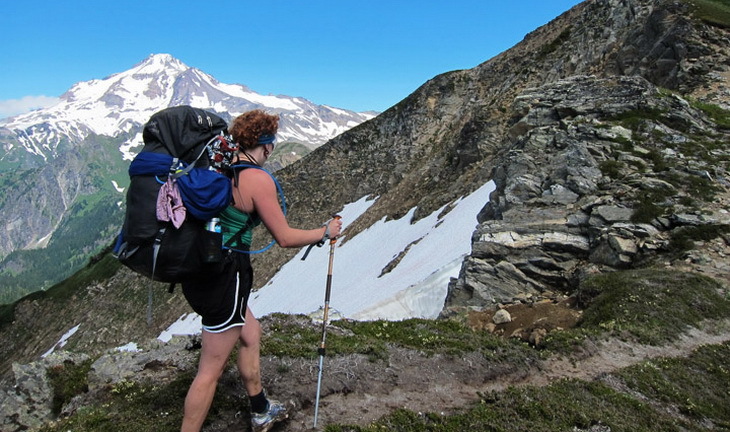 The general rule is that you choose a backpack, which you would be able to use on the longest hiking tours you take. Because let’s face it, you can fill it less, but you can’t fill a 25l backpack 30l; you would immediately shorten its lifespan. In other words, it is easier to compress a bigger backpack that overloads a small backpack. If your luggage is often above 30 pounds, make sure you choose a durable backpack with firm internal frame and the toughest material available. If empty, these backpacks usually weigh around 4 pounds. The lighter version of backpacks is made from thinner materials and it is filled with pockets and compartments for increased stuff organization. They are ideal for weekend hiking trips and load under 30 pounds. 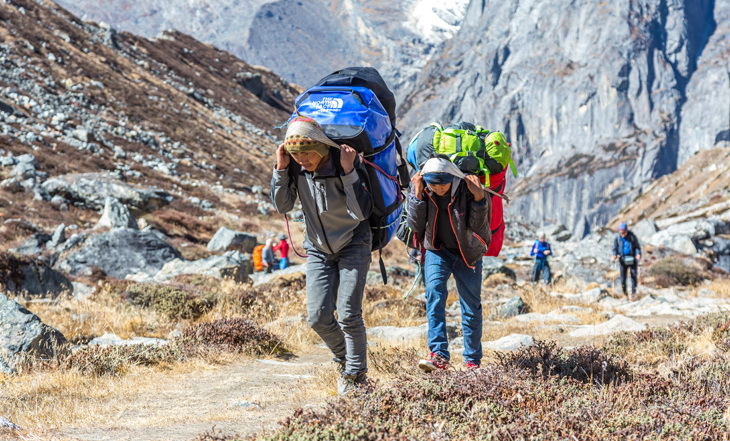 If, however, the weight you carry, doesn’t cross the limit of 15 pounds you should consider the ultra light backpacks with light aluminum frame or without a frame. Some people are taller than others. The sizes and dimensions of the backpack should be chosen according to the size and dimensions of the person wearing it. Short people could have a larger torso and the other way around. This is also important when choosing a backpack. For this reason, it is recommended that you measure the specific dimensions of your body and choose the backpack size accordingly. Generally, if your torso is shorter than 40cm you should try the extra small backpack. 40 to 46 cm means that you should go with the smaller size. 46 to 51 mean that you are medium and 51 and up means that you are a large size. Most brands offer universal size backpacks, which are easily adjustable. However, is a shorter person is wearing a larger backpack, even if it is properly adjusted, the stability center is imbalanced. This would cause the user to feel unstable and as if the backpack is “pulling” him. This is very dangerous, since the stability is indeed decreased and even a small roughness of the terrain or a wind could cause instability. For this reason, it is best to choose a backpack with your own size. This rule, however, doesn’t apply for lighter load backpacks. The capacity of the backpack is usually expressed in liters, and it is rare but still present for it to be expressed in cubic inches. A backpack, which could carry for up to 40l is usually considered a weekend backpack. 40-70l is a weekly backpack and 70l and above is a backpack intended for long expeditions or long family trips. Are you a minimalist type of person, which could manage with only little essential stuff? Or your essentials include a bunch of items, which you might or might not even use on your trip? Think about which accessories are indeed essential and which ones are only there for your personal satisfaction and seek to lower that number as much as possible. When it comes to stuff, backpack organization is the most important thing. 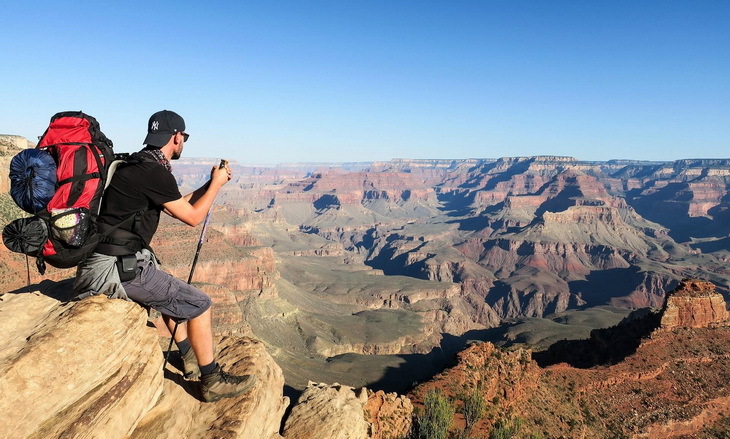 You could only be aware of this if you have already hiked alone or with a group of people. If this is the case, you know that someone is always in need of something and the reopening of the backpack for dozens of times during the hiking trip is inevitable. For this reason, a good backpack organization could go a long way. But in order to organize yourself, the manufacturer must meet you half way and provide the backpack with as many pockets as possible and they all must be placed on the exact place. The straps are also another feature, which is very important. Ideally the straps should be lower shoulder padded because here is where the impact occurs. With padded straps, the weight, which you are carrying, would seem much lighter. It will also prevent shoulder and back pain. The waist belt is also very important. Before we mentioned the center of stability. When the waist belt is put on, the center of stability is in balance. This means that you are more stable when walking through rough terrains or in strong wind. However, the waist belt is usually not necessary when you are carrying a lighter load. Does The Backpack Fit You? A backpack can’t fit you perfectly. However, it must feel comfortable when you first try it. The general rule here is that if it doesn’t fit you when you are first trying it, chances are that after miles it will be less and less comfortable. 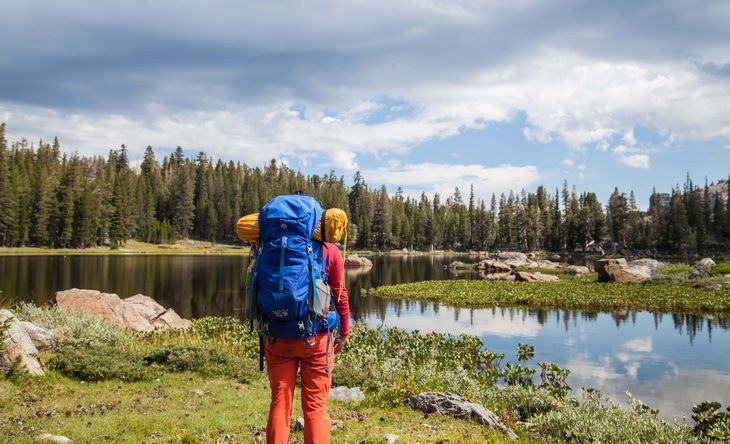 For this reason, test the backpack, as much as you can before starting on your hiking trip. You can even load it at home and carry it around for a few minutes to check if it is comfortable enough. Check out the straps and waist belt as well. When put on, it should go around the hips. Above all, the test should rate the functionality of the backpack. Are the straps comfortably against your back? Do you have a space between your backpack and your back? Could you arrange the weight between your shoulders and hips without any inconvenience? We came up with the list of the best-reviewed backpacks. 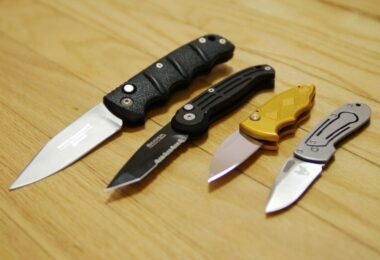 Each one has different features that make them unique, however, they are all great models. It’s up to you to decide which one fits you best. Specific features: Made from synthetic fabric material, ultralight, sleek silhouette, tapered shape for arm freedom for running, skiing, or climbing. Best use: Backpacking, hiking, climbing, running, skiing. 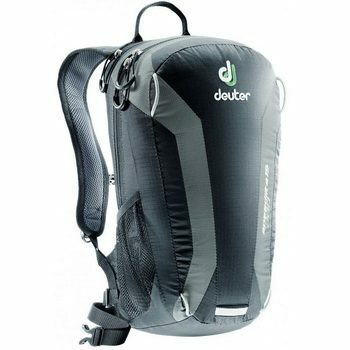 Description: This Deuter SpeedLite 20 Backpack is very comfortable and suitable for ling hikes. Personally, I believe that the quality of a backpack should be in how long you should wear it before it stops being comfortable on your back. The materials this backpack is made of, are extremely light and the straps make it very comfortable. Even though it is lightweight, the materials are very durable and you can use its full capacity without any problem. The main compartment is big enough, and there are also side pockets on the top, sides and front. They are enough to keep your stuff organized. The only downside is that the backpack doesn’t contain any drink system, but you can make one from the side pocket. Another feature, which might be considered as a downside, is the number and length of straps. If you are wearing only a few items in the backpack, you get the impression that the straps are too many. However, if you fill it up completely, you will recognize the real need for those straps. Other than this, the backpack is extremely durable and it doesn’t change quality over time, only its color if you don’t wash it frequently. The size is also suitable. I am especially content that my laptop fits inside. It is recommended that you check the exact dimensions if you are planning on putting a larger object inside. The design of the backpack is also great and the construction is flawless. Sometimes, the materials could be great, but the stitching fails. This is not the case with this backpack. Specific features: This Sea to Sumit backpack is made from nylon; it is waterproof; abrasion resistant; TPU laminated with 420D nylon fabric; it has durable 7075 aircraft alloy buckles; top loading roll top main chamber with side straps; fully seam sealed construction and removable waist strap with large top handle for comfortable lifting. 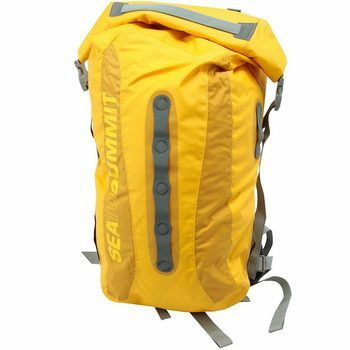 Description: The fully seam sealed construction combined with the nylon material this Sea To Summit Carve Drypack is made of are the perfect combination for wet sports. The Sea to Summit company is known to produce waterproof products with great quality which are usually recommended for water sports. However, this backpack is also recommended for backpackers and hikers. Even though it is not waterproof enough for it to be fully submerged in the water, it is perfectly capable of enduring heavy rain and splashing. It can even keep your belongings dry in case you drop the backpack in water. Its design is very simple as well the straps position. It only has basic straps which are not too long. This means that you cannot wear a lot of weight in the backpack. Even though the material is strong enough and the straps will not have a problem with the weight, they are not padded and you will have a problem with the comfortableness after a while. The padding is minimal, but it is on the right spots – on the shoulders and the spine. This backpack has a big hydration pocket, which is put right against the back, in order to keep the water from freezing. I would say that besides the waterproof properties, this is its leading feature. There is also an internal pocket for your small things: wallet, keys, headlamp etc. The thing that I like the most is its interior. It is white, which makes it easier when I look for my stuff inside. All in all, this is a great backpack with many features and the price is just right for what it has to offer. Related: If you are a fan of the products Sea to Summit manufactures, take a look at the Ultra-Sil Stuff Sack, ideal to make sure nothing gets wet. Specific features: This backpack is very lightweight; it is a trampoline style backpack with suspended mesh back panels and contoured Atilion sheet; it has a deep zipper access to the main compartment; a vented foam package; external face pocket, internal security pocket; two tool keepers; hip belt pockets; webbing lash points; hydration sleeve; overstuff pocket; and a 100D nylon fabric combined with 210D geo weave nylon material. 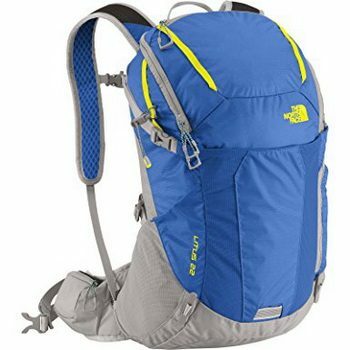 Description: This North Face Litus 22 Daypack is specifically designed for hikers and backpackers. The feature that proves to this fact is its back panel, which increases the comfort while wearing it and allows the user to pack heavily while maintaining the same level of comfort. The backpack is like it is manufactured from a professional backpacker. It has 7 internal and external pockets, which are more than enough for organizing all the necessary stuff. The deep zipper is a feature, which is underestimated at first, but it certainly adds up to the organizational process. Through the zipper you can access every item in the backpack. There are also tool keepers where you can hang your climbing axe for instance. The combination of materials is making this backpack extremely durable and able to endure heavy load. It is also waterproof. However, if this is a feature that you require most, I suggest you look at our other suggestion the Sea to Summit backpack. Although this backpack’s material is waterproof, the zippers are not. This means that it would endure a light rain, but heavy rain might be an issue. Submerging it underwater is by any chance forbidden unless you want your entire stuff wet. The capacity is 22l and it could be fully loaded. The leading features in this backpack are its durability and comfortableness. Related: Customers generally acquire the Platypus Big Zip Reservoir with this backpack, just to have a higher capacity bag for the water. 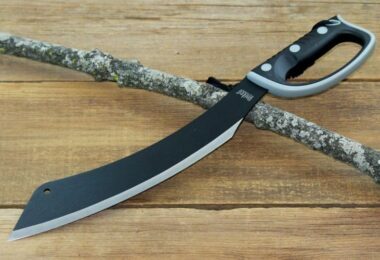 Specific features: This product is made from nylon material; it has a compression molded back panel; a hard wave frame sheet which is removable; dual daisies and ice axe cradles; large zip top; versatile compression system. 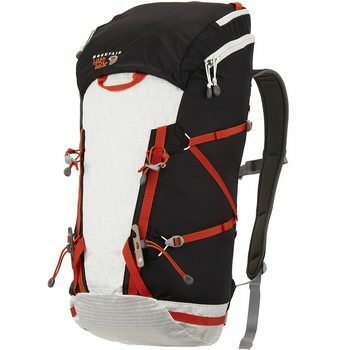 Description: This Mountain Hardwear Summit Rocket Backpack is made for professional hiking and backpacking. It has every feature to prove so. Starting with its compression system, which secures the climbing gear, it is also suitable for climbers. It has an option to be removed in order to reduce weight when it is not needed. The large zipper is specific to the professional backpacks is allowing you access to every belonging packed inside. The shoulder straps are low profile padded which makes the weight carrying even more comfortable. There is also a waist belt for improved stability, although, it is necessary to use only when you are carrying a large amount of weight. There are also front are rear grab loops and they are both clip secure. All in all, this backpack is made for climbing mountains and conquering new pathways. The backpack is suitable for long expeditions and it will feel as though someone is wearing half of your weight. Even though this is not rare in professional backpack, it is a highly appreciated feature, which not many products have. The hardware frame sheet adds to these properties and it is suitable for lighter loads as well. The backpack is excellent for around 4-5 days trips. If you are going on a longer trip, a larger backpack is advised. Related: The ALPS Mountaneering B01JPO0 Sleeping Bag is a good match with this backpack, which is used for longer camping trips, where a sleeping bag might be needed. Specific features: This backpack has ergonomically designed shoulder harness; airmesh shoulder straps; hydration sleeve; spacious hood size; removable back sheet; removable waist strap; sternum strap; ice axe attachment place; it is highly compressible; durable construction. 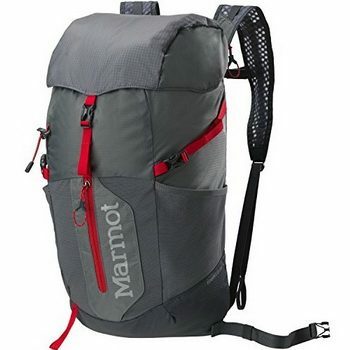 Description: This Marmot Compressor Plus Daypack is designed in a slightly different style than the other backpacks. Besides its unique design, it is very comfortable and lightweight. Its features classify it as a professional backpack used for expeditions, but its low capacity recommends it for only few days hiking trips. The material it is made of, is a combination of 210D nylon and 70D nylon fabric. This means that it is waterproof, and it endures heavy rain. It is not to be fully submerged under water, but it doesn’t mind splashing. It is perfect for mountain hiking in humid areas, or in snowy weather conditions. You don’t have to worry about your belongings getting wet. Its only downside is that it doesn’t have many pockets, making it complicated to carry other items and easily reaching them. All in all, it is a great backpack for a small amount of weight, or a daypack backpack. Materials might not be the best quality. Related: The bag comes with a feature for axes, so also buying an axe is not a bad idea. The Petzl SUM-TEC Axe is a very good choice. Specific features: This backpack is made from nylon material. Its capacity is 29L or 1770 cubic inches; it has a built in rain fly; a hydration compatible sleeve doubles as laptop sleeve; dual ax loops; haul loop and it weighs only 0, 96 kg or 2 lb. 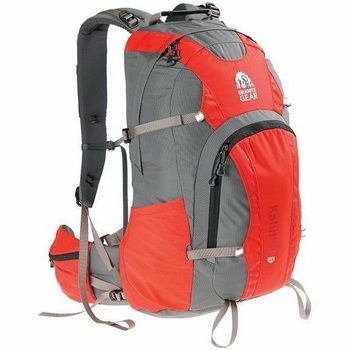 Description: This Granite Gear Kahiltna DayPack is designed for short one day hikes. It is not a professional hiker’s backpack which you could use for long backpack trips or expeditions. However, it has all the necessary features for a one day trip. It is mostly classified in the hiking category because of its lightness and comfortableness. It is comfortable to wear on a one day hike, although, the material would seem too thin for some heavier items. If you think this is the case, don’t worry, it really does hold up to 29l without any problems. It is not a backpack to put your phone or laptop inside because it is not waterproof and it doesn’t have laptop pads around it. However, it does have straps which increase its comfortableness, and it also have a waist belt for greater stability. Although the main compartment is large enough to fit all of your belongings for a one day trip, maybe even two days, it doesn’t have much additional pockets. 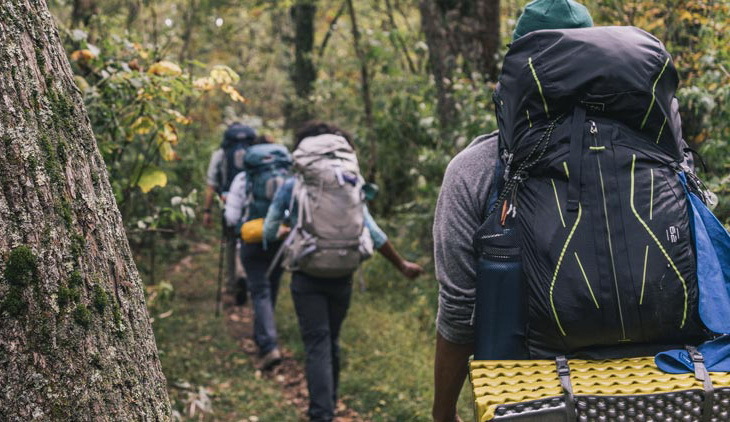 Hiking backpacks usually have dozens of small pockets in order to allow you to better organize the little things that are necessary for a hiking trip. This backpack however, is intended for less organized people who don’t mind having only two compartments for all their stuff. It also doesn’t have a drinking system. However, it the weather proves itself and doesn’t pour rain over you, there is a small packet on the side of the backpack which is just enough to put your phone inside. Not many people keep their phones on the outside, but if your phone is also your camera, trust me, this would come very handy while hiking. Related: Not having the best pockets, you can buy the Granite Gear Air Wallet to store some things and just attach it to your belt or backpack. Specific features: This backpack is made from 100% recycled polyester material; it has a DWR finish and three zipper compartments. 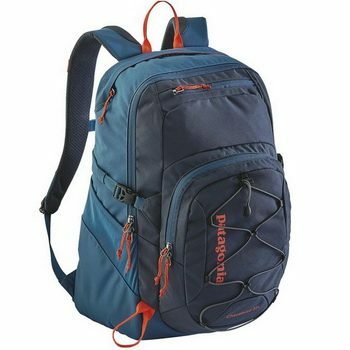 Description: This Patagonia Chacabuco Pack can hold up to 32l load capacity. This is the only backpack, which uses recycled materials. It is also rare that the backpack is made from polyester. Polyester is usually not waterproof. However, this backpack is treated with DWR treatment which repels moisture and water. This means that light rain is acceptable, but splashing and water sports are out of the business. The polyester material is lightweight, very durable and it is very pleasant to touch. This backpack has three zippered compartments and enough space inside so that you successfully organize your belongings. The rear compartment is padded and elevated which means that it is completely adjusted for laptop or some other fragile items. In the outer third compartment there is a compartment for keys and other items which you would hate to lose. The straps and back panels are supported with air flow pads which increase the comfort and the breathability. Breathability is very important in a backpack especially in warm weather conditions where sweating is a bigger issue. In this case, back panel breathability could save you from back problems. The top handle is reinforced so that you can lift the whole backpack by holding only the handle. Even though this is not comfortable, it is sometimes necessary. All in all this backpack is in the right price range for the features it has to offer. Related: The Sea to Summit B001AQ Sack is the ideal sleeping bag to buy alongside this backpack, and be ready for your camping trip. 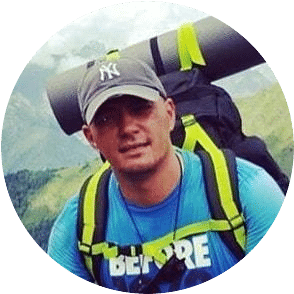 This buying guide provided you with all the necessary information which will help you choose the best waterproof hiking backpack for your needs. The next phase for you would be to learn how to pack the backpack and enjoy the hiking in the nature without feeling the backpack as a burden which you cannot endure. Don’t forget to share your choice with us and let us know how did your new backpack behave on the hiking trip? We are looking forward to hear your positive hiking experiences!